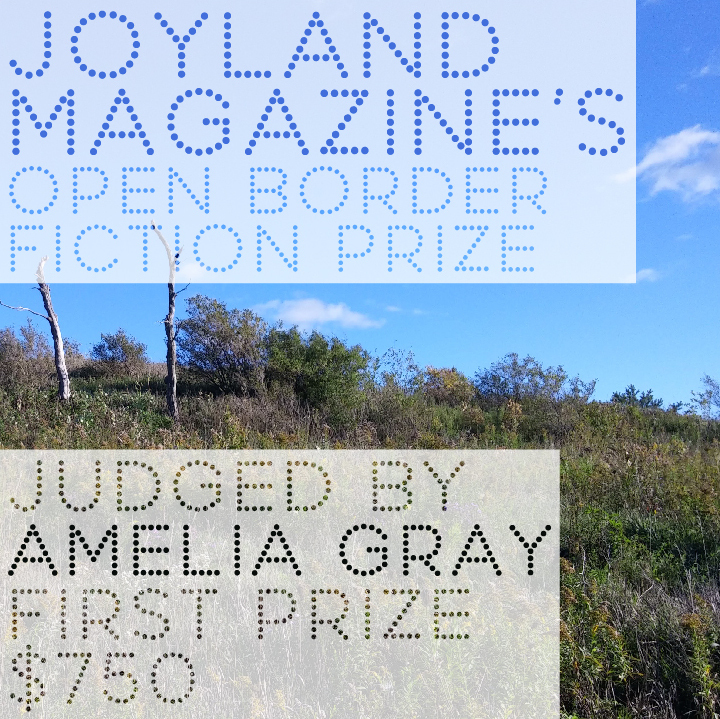 We are now accepting entries for our Open Border Fiction Prize, to be judged by Amelia Gray, the PEN/Faulkner nominated author of Gutshot and Threats, both from FSG. Her fiction and essays have appeared in The New Yorker, The New York Times, The Wall Street Journal, Tin House, and VICE. She lives in Los Angeles. Please read the contest guidelines below and follow the Submittable link. One entry per author and the story must be a previously unpublished work of fiction, between 1900 and 6000 words in length. The submission fee is $5 (US). The winning entry will receive $750 (US) and be published on Joyland and in print in Retro 6. Two runner-ups will also be published on Joyland. Contest closes on January 20th, 2017. Winners will be announced in March 2017. *Translators may submit translated stories, but they must also submit a statement with their submission that they're authorized by the original author.